In theory, the Oromo and Amhara are well-represented by parties in government. But they have never been perceived to have either legitimacy or autonomy. The government claims 52 people were killed in the Irreecha celebrations, but the opposition puts the figure much higher. When Shibiru Amana heard gunshots ring out near his home in the town of Mandi on 26 September, he immediately rushed outside where he saw people clamouring for safety and kids running for their lives. Across the commotion, he later told VOA Afaan Oromo, Amana spotted a young boy lying lifeless on the ground. He mustered up the courage and took a few steps towards him. It was his younger brother Lidata. Lidata, who was just 15 years old, had been shot in the torso. 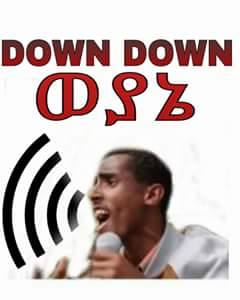 His transgression had been shouting a few anti-government slogans at a gathering on the eve of the Meskel holiday. A week later, enormous numbers of people from all corners of the Oromia region descended on the town of Bishoftu to celebrate Irreechaa, an annual Oromo thanksgiving festival. When some began to protest, security officers responded by firing tear gas and live ammunition, according to witnesses and videos that later emerged on social media. The crowed was packed between a lake and treacherous terrain, and in the panic that ensued, many died. The government reported that 52 died. Human rights groups say several hundreds were killed. Meanwhile, the Oromo Federalist Congress (OFC) put the death toll at a huge 678. The ongoing wave of protests in Ethiopia was initially triggered in November 2015 by a development plan that would have expanded the capital Addis Ababa into neighbouring Oromia towns. This plan was eventually suspended, but the protests amongst the Oromo people continued and have since spread to over 200 towns and been joined by Amhara demonstrators too. The government has often responded by sending in security forces that have engaged in deadly violence, leading to the deaths of over 600 people, according to rights groups, and over 1,000, according to activists. While some of these killings in Oromia have been carried out by regional police, it is notable that much of the security response has been conducted by the federal police and army. As Amana explained, “I wanted to ask the police officers why they killed my brother but they speak a different language”. Under Ethiopia’s system of ethnic federalism – comprising of nine states and two chartered cities – significant powers are devolved to regional authorities, including the right to establish a state police force and maintain public order within the region. The federal army is only permitted to intervene at the request of the Oromia regional government. However, the reality is that much of this devolved autonomy only exists in theory, and the fact that federal forces have been deployed reportedly without the express request of the Oromia government speaks to its lack of sovereignty. Indeed, for the last 25 years, politics has been controlled by the four-party ruling coalition known as the Ethiopian People’s Revolutionary Democratic Front (EPRDF). This alliance includes the Oromo People’s Democratic Organisation (OPDO), the Amhara National Democratic Movement (ANDM), and the Southern Ethiopian People’s Democratic Movement (SEPDM). But its lead partner is the Tigray People’s Liberation Front (TPLF). This latter party’s base represents just 6% of Ethiopia’s 100 million population, but TPLF elites have long dominated the country’s political and economic spheres and kept a hold on key posts such as defence, intelligence and foreign affairs. 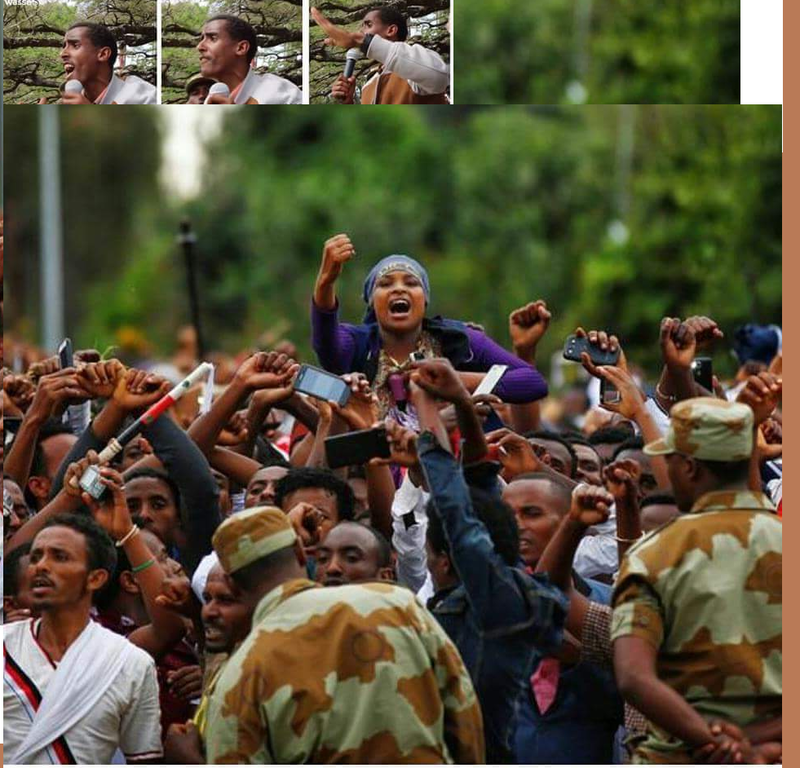 It is partly anger at these inequalities that is driving protests in Oromia and Amhara. The government has largely denounced these demonstrators and used force, but it also recently announced it would evaluate the performance of its regional parties and engage in the necessary reforms of them to address the people’s concerns. In 2001, the year Lidata was born, the Ethiopian government also faced the need for an internal upheaval. A struggle for power within the TPLF had just concluded and the faction led by then Prime Minister Meles Zenawi had come out on top. A major purge of his opponents in government soon followed. OPDO’s leaders had been indecisive in declaring their loyalties during the factional fight and were largely sidelined. Negasso Gidada, former president of Ethiopia and chair of the OPDO, was suspended along with other senior leaders. Meanwhile, Kuma Demeksa, an OPDO central committee member and president of the Oromia region, was removed and later replaced by Juneydi Saaddo, a new technocrat on the block. In times of crisis and internal party strife such as these, there was nothing Meles enjoyed more than conducting a highly charged meeting (‘gimgema’) in which participants engaged in criticism and self-criticism. Those from the OPDO reportedly engaged in a frantic admission of guilt. 15 years on from this – and four years since Meles’ death in 2012 – today’s widespread protests have forced senior leaders in the TPLF and EPRDF to resurrect their ideologue’s penchant for reform. These recent changes have been spoken about under the banner ofTilq Tehadiso, which is Amharic for “deep reform”, and are supposed to “tackle rent-seeking” and “root out nepotism”. But the reality is that the exercise has been, at best, a cosmetic reshuffle. At worst, it has been used to usher in an even more confrontational approach to the protests. In its September 2016 party congress, for instance, the OPDO replaced its chair and vice-chair with Lemma Megersa, a former Security Chief for the region, and Workneh Gebeyehu, a former Director-General of the Federal Police Commission. This shift is widely believed to have been choreographed by the TPLF, and the combined intelligence and law enforcement expertise of the two new leaders will be of immediate value to the government. According to Jawar Mohammed, a US-based Oromo political activist, the move is an attempt to “further militarize the administration in Oromia”. The OPDO is not the only Oromo political party in Ethiopia, but thanks to the TPLF, it has developed a sense of near invincibility over its competitors in the region since the 1990s. According to insiders, the TPLF masterminded the very creation of the OPDO in 1989 in order to pit them against the Oromo Liberation Front (OLF), a group with which its relations were deteriorating. The TPLF struggled to encourage the formation of this new OPDO party, however, and reportedly had to call upon on Oromo-speaking prisoners of war to make up its members. From its early days, OPDO officials were widely referred to disparagingly as ‘maxxanne’, Oromo for freeloader. In 1992, the now banned OLF, a more potent symbol of Oromo nationalism, finally withdrew from the transitional government in acrimonious circumstances, and since then, the TPLF has ensured that its OPDO ally has completely dominated in the region. As a Human Rights Watch report from 2005 noted, “From top to bottom, the OPDO has had a near-total monopoly on political power in Oromia since 1992”. Two Oromo opposition parties – the Oromo National Congress (ONC) and Oromo Federalist Democratic Movement (OFDM) – did manage to enter the political fray when they won seats in the 2005 elections. But they were constantly undermined to prevent them from mounting a real challenge to the OPDO’s supremacy. This strategy of restricting political space to opposition parties culminated in the 2015 elections in which the OPDO officially won all 537 seats in the regional state council and all 178 seats allocated to the region in the federal parliament. The OPDO’s loyalties have thus always been with the TPLF, and when men and women across Oromia have been gunned down, no OPDO official has had the courage to condemn excessive use of force. Juneydi Saaddo, a former ODPO cabinet minister who is now in exile, explained recently in an interview that those in government fear reprisals if they speak out against TPLF dominance, and confessed that the OPDO has never been able to shake off its subservient status. For the protesters in Oromia therefore, the OPDO possesses neither legitimacy nor autonomy, and any reshuffle of its leadership is considered as inconsequential as the party itself. 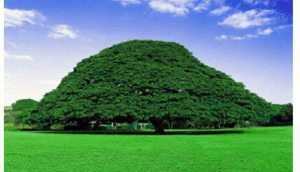 The overwhelming belief is that its leaders are handpicked by the TPLF puppet-masters, and the new generation of Oromo youth – known as the ‘Qeerroo’ – have seen that it is business as usual after the latest reform. As Jawar Mohammedargued following the change of guard, “the OPDO is neither the cause nor the solution for the political crisis”. Over the past year, Oromo protesters have been calling for genuine representation in government, an end to the dominance of a single ethnic group, respect for democratic and human rights, an end to indiscriminate killings and repression, and the cessation of marginalisation and evictions of Oromo from their ancestral lands. These are issues that far exceed the powers of the OPDO. 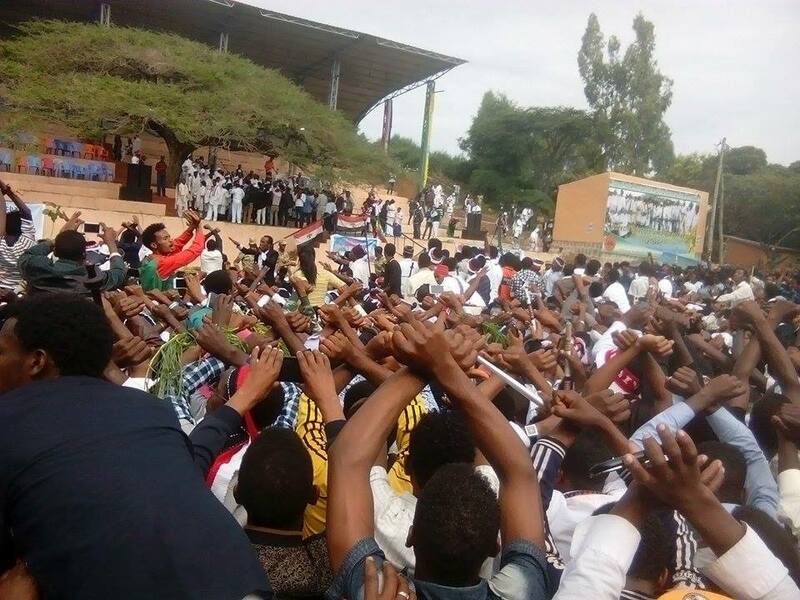 Over the past few months, the Amhara have joined the protests and there have been shows of unprecedented solidarity with the Oromo, united in their shared grievances. This is a significant development. Together, these two ethnic groups make up more than two-thirds of Ethiopia’s population, and Prime Minister Hailemariam Desalegn’s most urgent and perhaps toughest job now is to halt or reverse this growing trend. Former strongman Meles Zenawi long managed to avoid this situation by stoking historical antagonisms in order to create perpetual mistrust between the two groups. He effectively drilled this trick into his disciples too, including current Communications Minister Getachew Reda, who in a recent interview, bluntly admitted that “the alliance between the two…is clear evidence that the government has failed to do its job”. But Prime Minister Hailemariam, a former technocrat hailing from Ethiopia’s southern region, has proven less politically cunning than his predecessor. His attempts at employing the old divisive tactics, even mimicking Meles’ language and gestures at times, have failed as solidarity between the Amhara and Oromo has grown both within Ethiopia and in the diaspora. When the state TV recently unearthed and aired old footage of Meles expounding on the “narrow nationalism” and “chauvinism” of the two groups, it highlighted Hailemariam’s comparative lack of skill in delivering effective propaganda. From Hailemariam’s first day in office, it has been clear that the TPLF still calls the shots. In fact, it is believed that his very survival strategy is to play second fiddle to gain approval from the TPLF hierarchy. But if protests continue, he could end up as a sacrificial lamb. However, one thing the PM may take encouragement from is the fact that despite the turmoil facing the country, support from key Western allies hasn’t wavered. The US government in particular has shown little interest beyond penning half-heartedstatements of concern, reluctant to criticise a partner it sees as a force for stability in a volatile region and a major ally in its War on Terror. In this configuration, the Ethiopian government has barely had to project even the semblance of democracy for Western diplomats to continue singing its praises. For instance, when US President Barack Obama paid a visit to the country in July 2015 – just two months after the ruling party and its allies won 100% of seats in parliament amidst accusations of intimidation and fraud – he described the government as “democratically elected”. The killing of hundreds of protesters since then has done little to shift this position. The events of the last 11 months – and the responses from the Ethiopian government and its allies – have shown that Ethiopia’s protesters must take it upon themselves to define their destiny and bring an end to their peripheral role. Indeed, this seems to be the position that demonstrators in both Oromia and Amhara have willingly adopted, aware that as the two largest ethnic groups in the region, the success of their struggle lies in their ability to galvanise the public to rally and create links of solidarity with others who share their grievances. External actors can facilitate, but not replace, this process. But this struggle goes on. At the funeral of Lidata, just one of many who have lost their lives at the hands of security forces, friends and family said their eulogies to celebrate his life and grieved that it had been so tragically cut short. A whole community gave him the send-off that he deserved, with mourners chanting pro-freedom slogans, of which one particularly stood out. Qabsoon itti fufa, or Oromo for “A Luta Continua”. Michael C. Mammo is studying for his PhD at the University of Birmingham. He is a former Ethiopia correspondent for Inter Press Service and Spanish News Agency (EFE). He tweets at @mcmammo.